Designed to extend the hook on hair rigs, so the rig turns more effectively inside the fishes mouth. 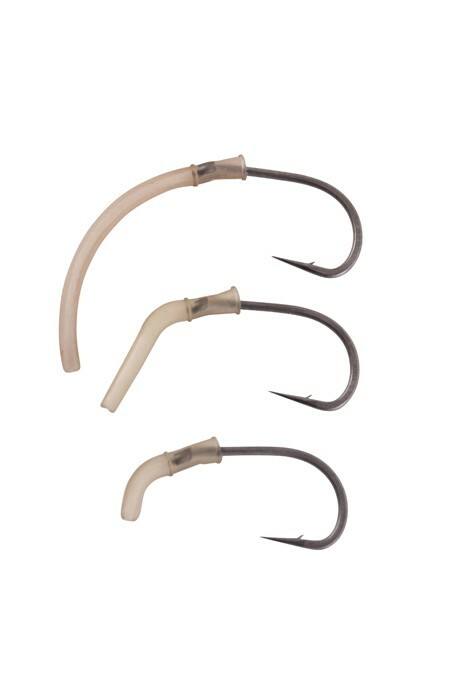 Available in three sizes to suit different styles of rig. Each packet features two colours. Pre-moulded so you don't need to use shrink tubing. Short: This suits everything from boilie rigs to small particle and pellet rigs. Great used with a size 12-4 hook. Long: This extends the shank more aggressively, great for bigger fish rigs and baits. Use with size 10-4 hook. Curved: Just like the original Korum Anti-Eject Sleeve. Good for Withy pool rigs, anti-eject barbel and carp rigs. Use with size 10-4 hook.